A number of people use olive oil for cooking and cold applications. It’s a main cog in the Mediterranean diet prescribed by many doctors. Besides its great taste, olive oil protects the brain from neuro-degenerative diseases like Alzheimer’s. Alzheimer’s disease is a devastating brain disease that affects not only the individual but, family and friends. In order to benefit from olive oil, you should refrain from heating it. The temperature and length of heating time effect the healthy benefits. Take for instance, baking foods in a oven at high temperatures will significantly diminish the polyphenols. Polyphenols provide the protective effect for the brain. Links here and here. Alzheimer’s affects the brain by increasing taus and plaques. Taus and plaques are like blockages in plumbing. These blockages clutter the cells of your brain decreasing normal signaling and function of cells. Olive oil’s polyphenols negatively effect multiple pathways that manufacture taus and plaques. These polyphenols are like a SWAT team. They eliminate, prevent, and clean up taus and plaques. 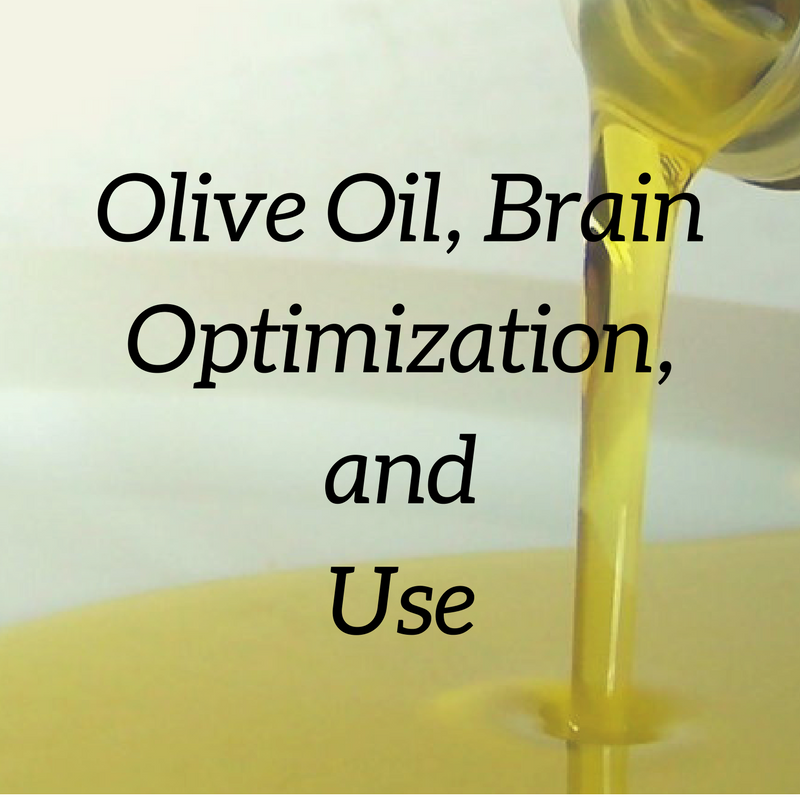 Lastly, olive oil decreases brain inflammation. Brain inflammation is believed to be a precursor to Alzheimer’s disease. Links here and here. If you are cooking with olive oil, make sure to replenish the amount during cooking and use lower grades. Using an expensive oil to cook with doesn’t make sense from a health, economic, or taste perspective. It’s better to use higher grades for cold applications like dressings and on top of foods. Other healthy alternatives are coconut oil and butter. Both are solid at room temperature. This means that under high temperatures coconut oil and butter will not degrade and retain their health benefits.